Enjoy an evening of poetry with Guilford Poets Guild members Nancy F. Meneely and Jen Payne as part of the Second Thursday Poetry Series presented by the Guild and the Guilford Free Library on Thursday, September 14, from 6:30 – 8:30 p.m. at the library. The event begins with an Open Mic from 6:30 – 7:00 p.m., and follows with readings from both poets. Nan Meneely has been a member of the GPG since 2007. She holds a B.A. from Smith College, an M.A.T. in English from Yale and an M.Ed. from UMass/Amherst. She has taught at high school, college and graduate school levels and worked as a trainer in State and Federal government departments. 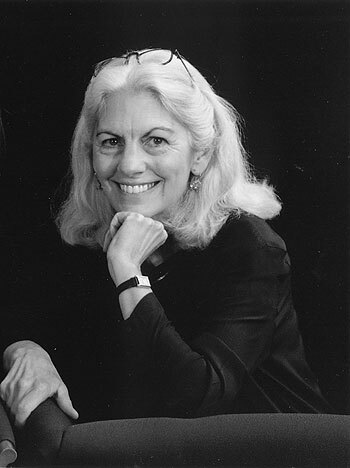 After retiring from the Federal Emergency Management Agency in 2006, she retired to Connecticut to focus on poetry, helping to administer the work of the Guilford Poets Guild and the Connecticut River Poets to support the writing and appreciation of poetry in Shoreline communities. She has published poetry, book reviews and articles in a variety of literary publications and newspapers. Her book, Letter from Italy, 1944, which provides the libretto for the oratorio of the same name, was published by Antrim House in 2013 and was the only book of poetry awarded in the Legacy Non-fiction category of the 2016 Eric Hoffer Book Awards. It was noted by the Hartford Courant as one of thirteen important books published by Connecticut writers in 2013. Nan currently lives in Essex, CT.
One of the GPG’s newest members, Jen Payne is inspired by those life moments that move us most — love and loss, joy and disappointment, milestones and turning points. When she is not exploring our connections with one another, she enjoys writing about our relationships with nature, creativity, and mindfulness, and how these provide balance in our frenetic, spinning world. In 2014, she published LOOK UP! Musings on the Nature of Mindfulness, a collection of essays, poems and original photography. 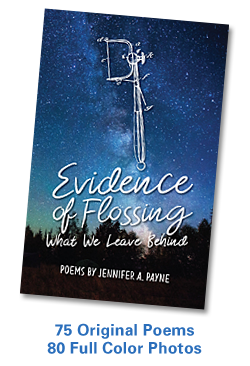 Her new poetry book, Evidence of Flossing: What We Leave Behind, will be available in October. Jen is the owner of Words by Jen, a graphic design and creative services company in Branford. 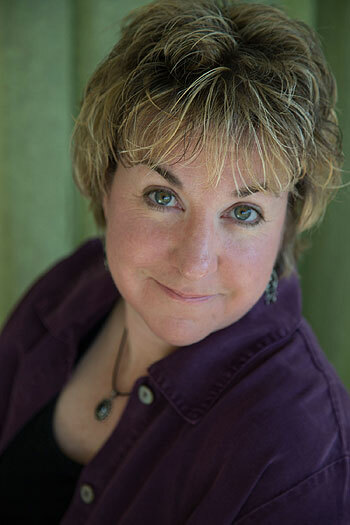 She is a member of the Arts Council of Greater New Haven, the Connecticut Poetry Society, Guilford Arts Center, and the Guilford Poets Guild. Her poetry was featured in Inauguration Nation at Kehler Liddell Gallery in New Haven, and Shuffle & Shake at the Arts Council of Greater New Haven. Her writing has been published by The Aurorean, Six Sentences, the Story Circle Network, WOW! Women on Writing, and The Perch, a publication by the Yale Program for Recovery & Community Health. There will be books for sale at the event, and refreshments will be served. Remember to bring your own poem to share during the Open Mic! Upcoming Second Thursday Poetry Series events presented by the Guilford Poets Guild and the Guilford Free Library include readings by the several Connecticut Poets Laureate on October 12; Alan Garry, the Connecticut Veteran Poet Laureate on November 8; and a Holiday Roundtable on December 14 featuring Found Poems. For more information, visit guilfordpoetsguild.org. The Guilford Free Library is located at 67 Park Street in Guilford. This program is free and open to all. Please register by phone, in person, or online (203) 453-8282, guilfordfreelibrary.org. This entry was posted in Books, Conversation, Creativity, Poetry, Writing and tagged Book, Books, Connecticut, Cosmology, Creativity, Ecospirituality, Independent Book Publishers Association, Jen Payne, Mindfulness, Nature, Photography, Poetry, Spiritual Ecology, Spirituality, Storytelling, Words, Writing. Bookmark the permalink.